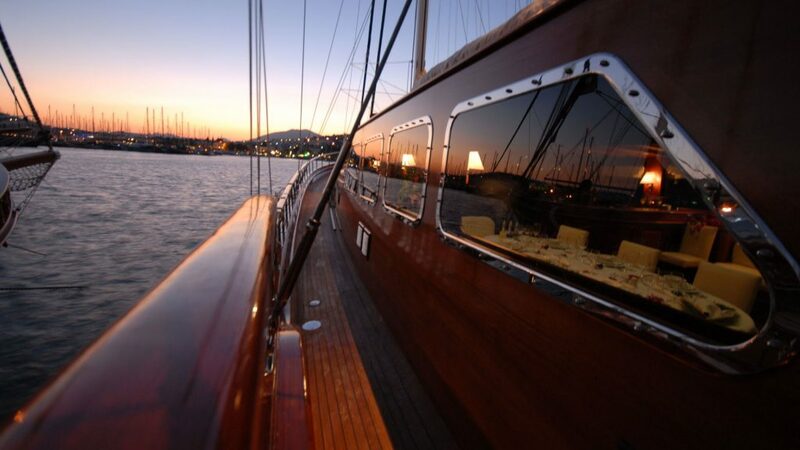 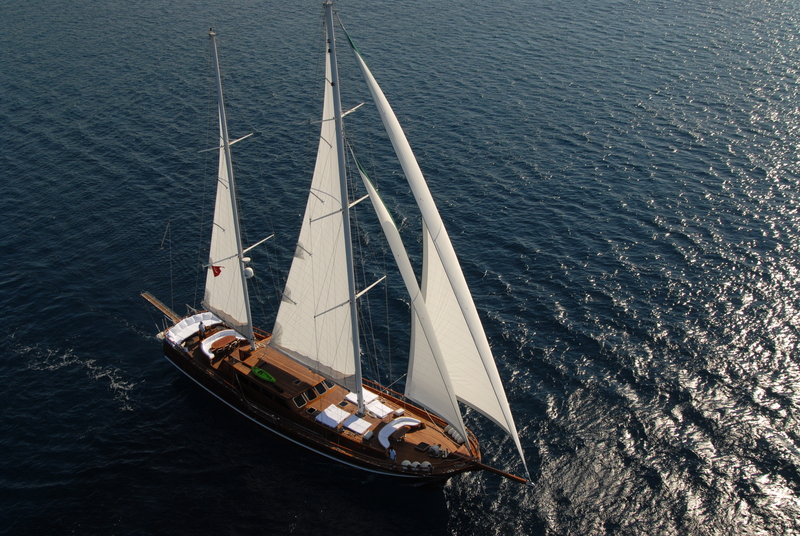 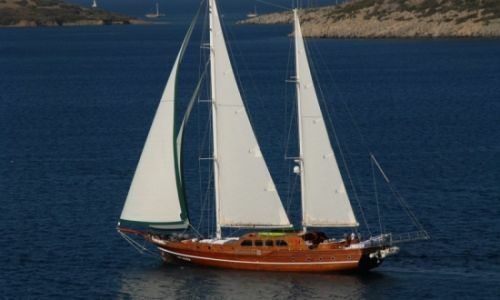 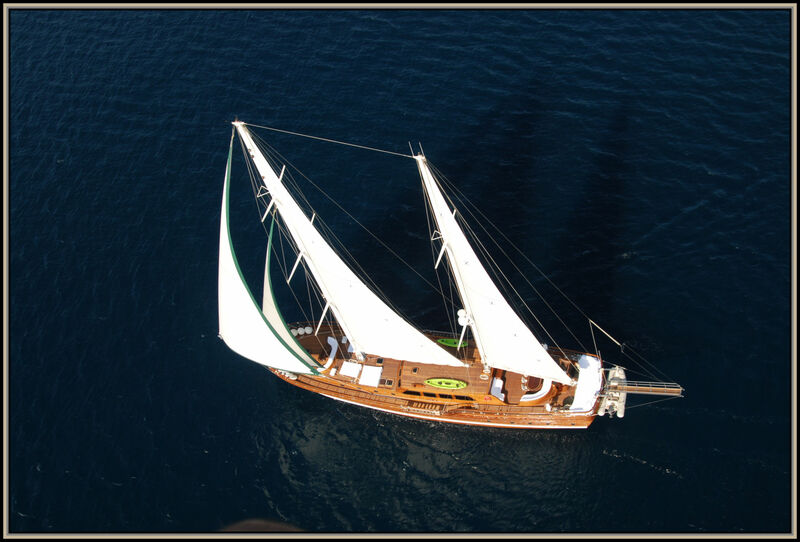 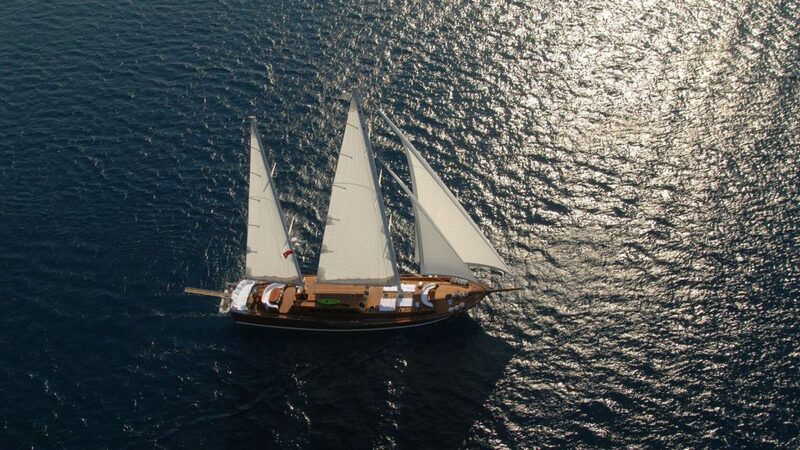 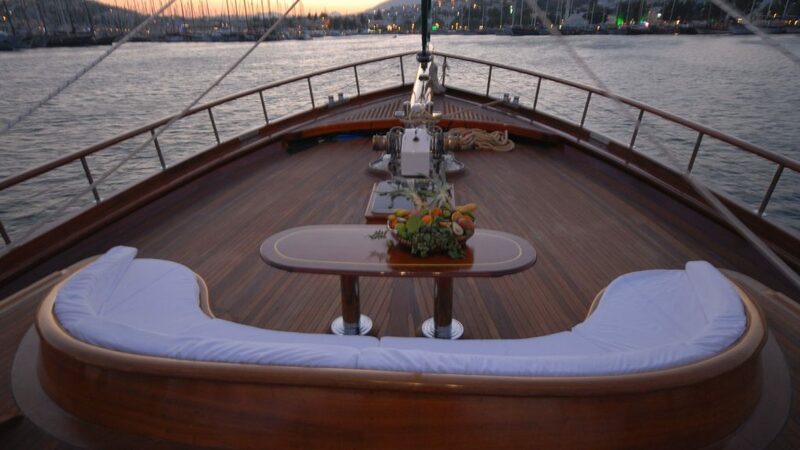 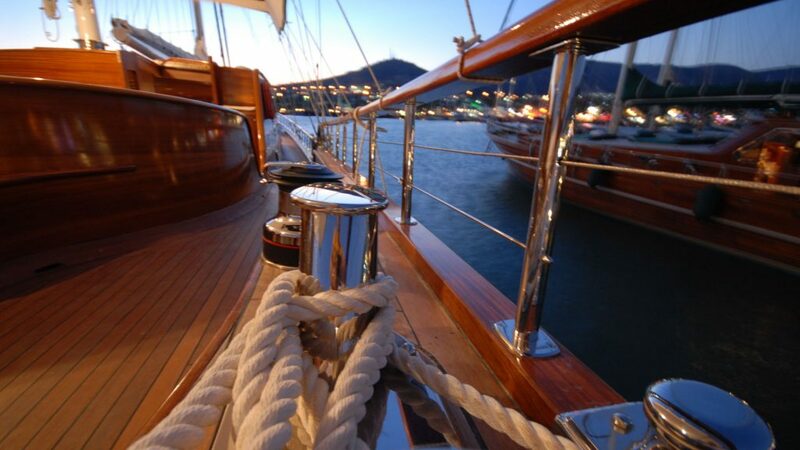 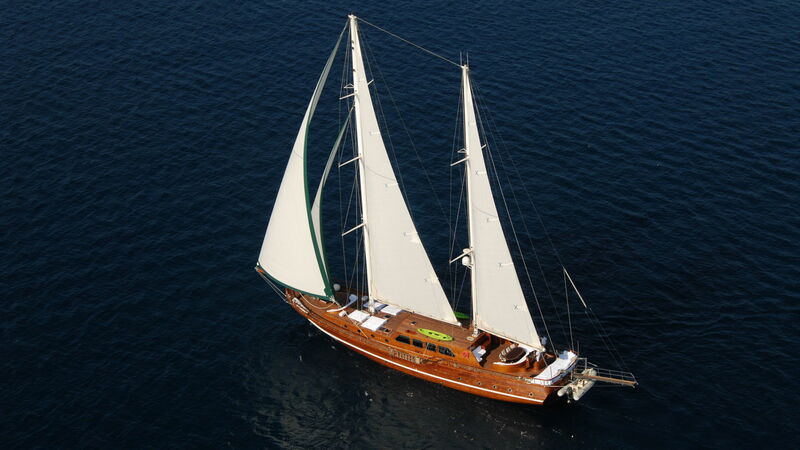 Luxury Gulet LADY CHRISTA II was launched in 2007 and measures 32 meters (102ft). 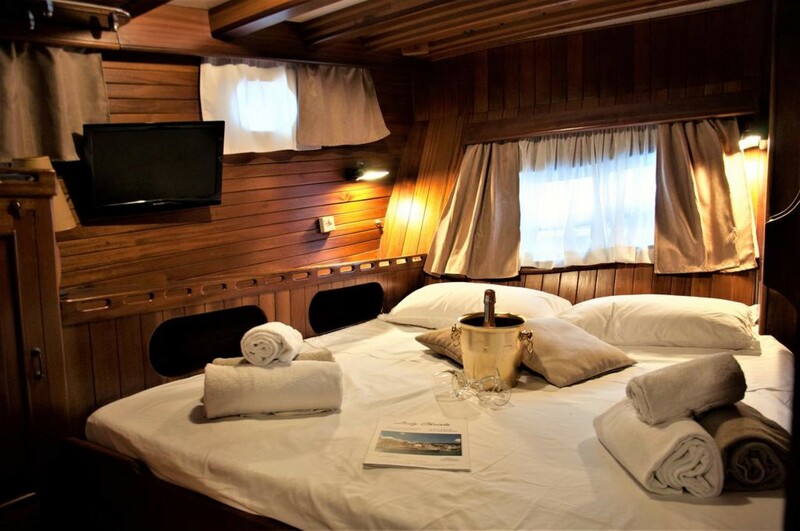 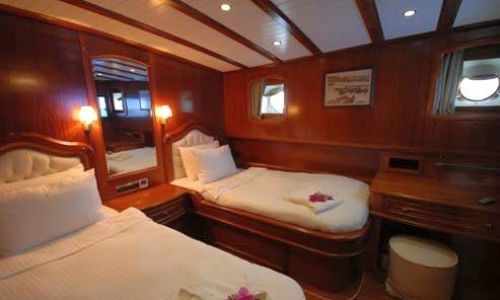 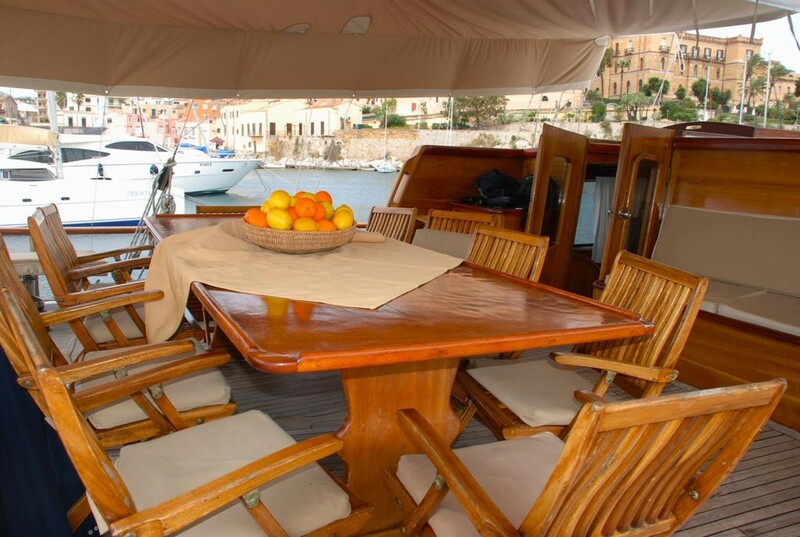 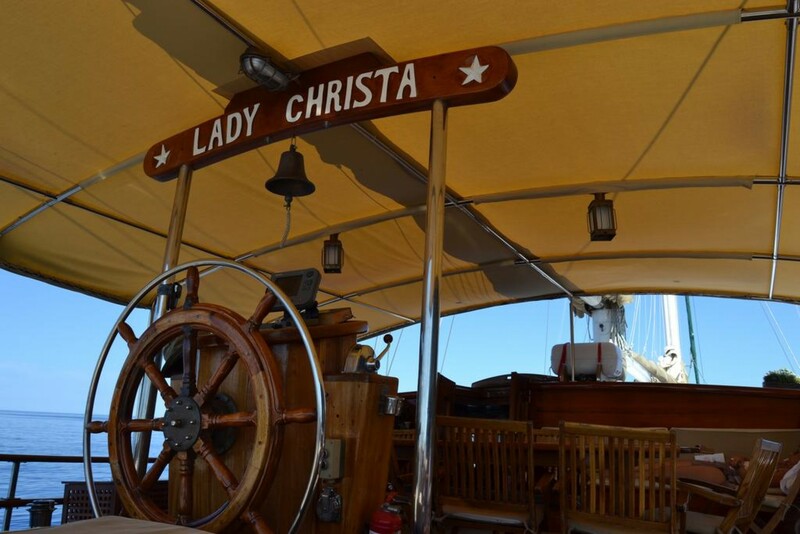 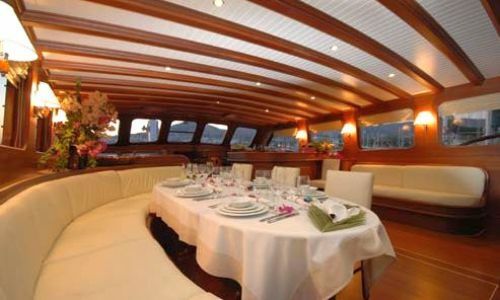 LADY CHRISTA II can accommodate up to 10 guests in 5 cabins. 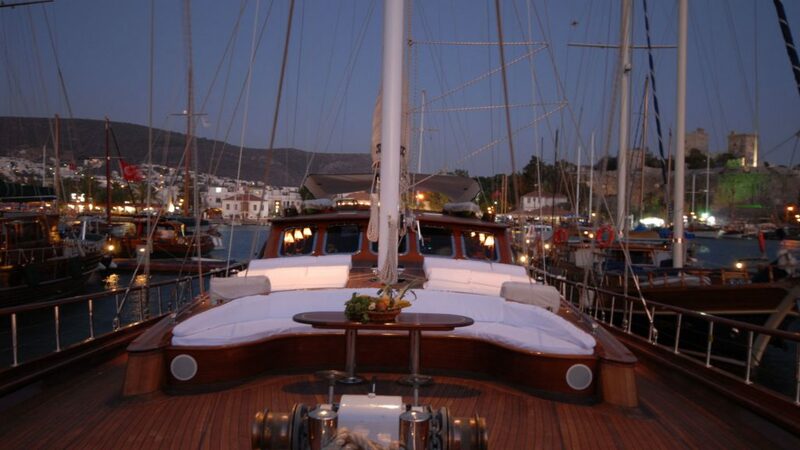 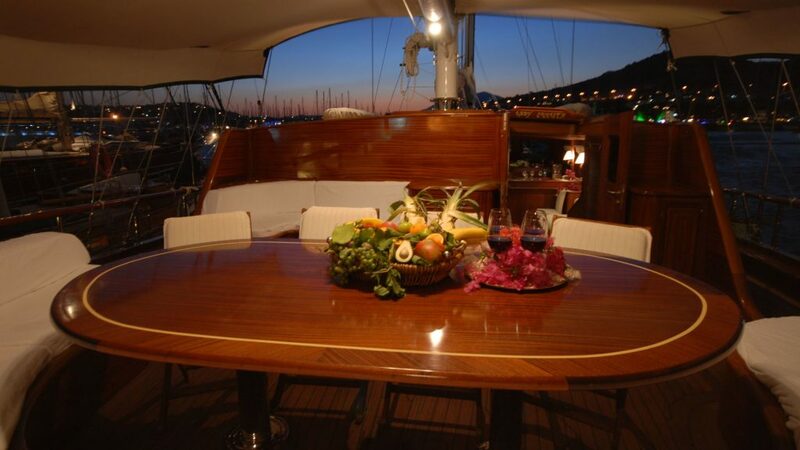 The yacht is based in the East Mediterranean, Greece and Turkey year round. 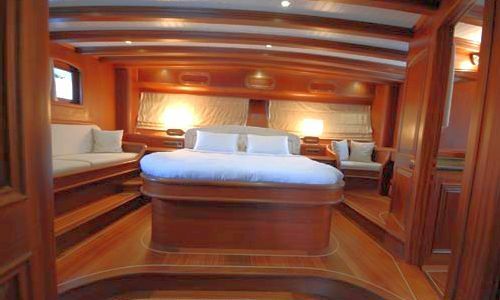 S/Y LADY CHRISTA II has an impressive interior; the use of lighting with mahogany woods seen throughout gives the yacht a warm and inviting ambiance. 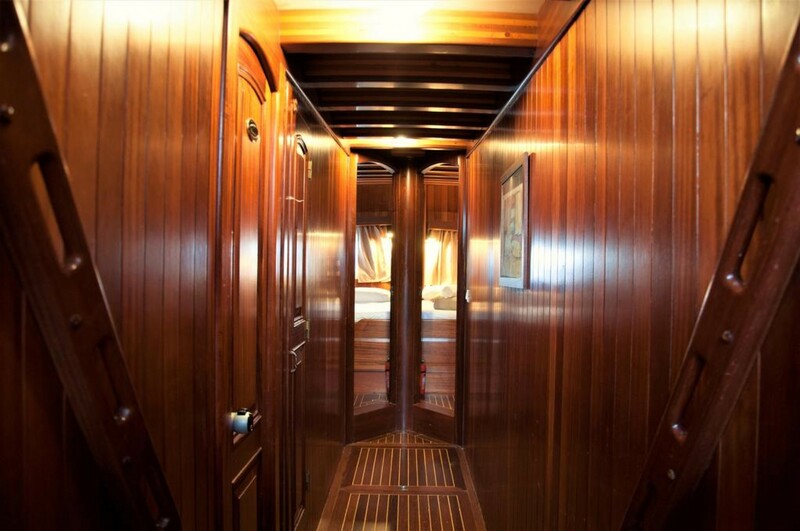 Old meets new style with a beautiful wood floor with decorative lined accents, the mahogany walls are of a rich cherry tone while the ceiling has white planks with high gloss varnished beams. 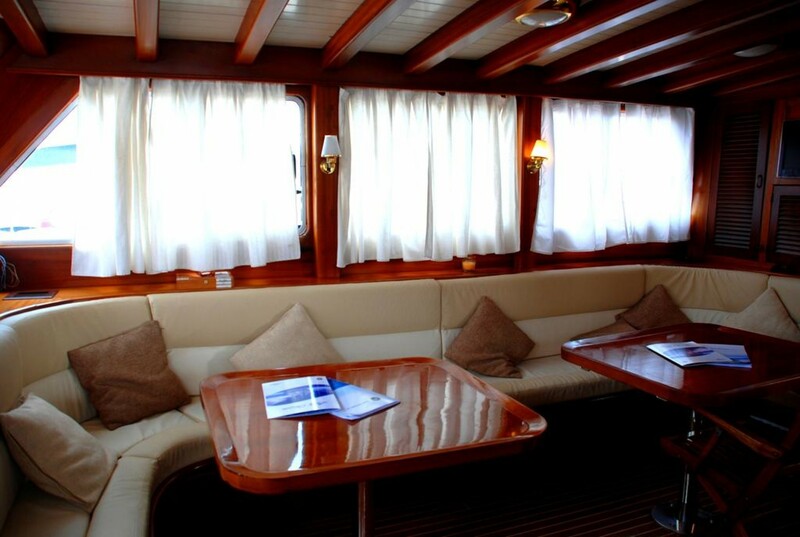 The salon is spacious and features a formal dining table and salon settee; the accompanying soft furnishings are a crisp white, while the surrounding large windows offer great views while providing ample natural light. 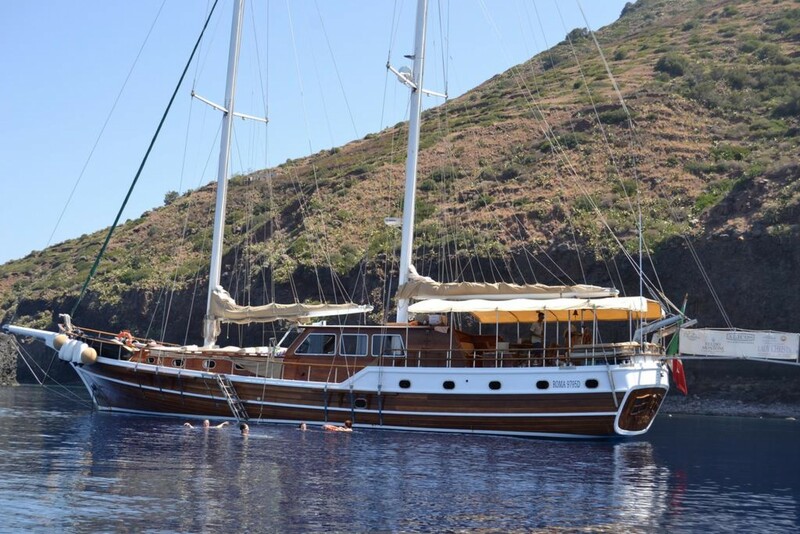 Gulet LADY CHRISTA II has plenty of external deck space; the aft deck is shaded with an alfresco dining option, additional seating and an aft lounging pad. 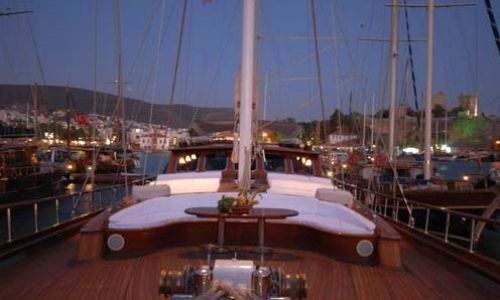 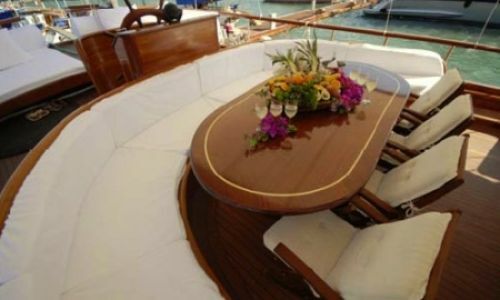 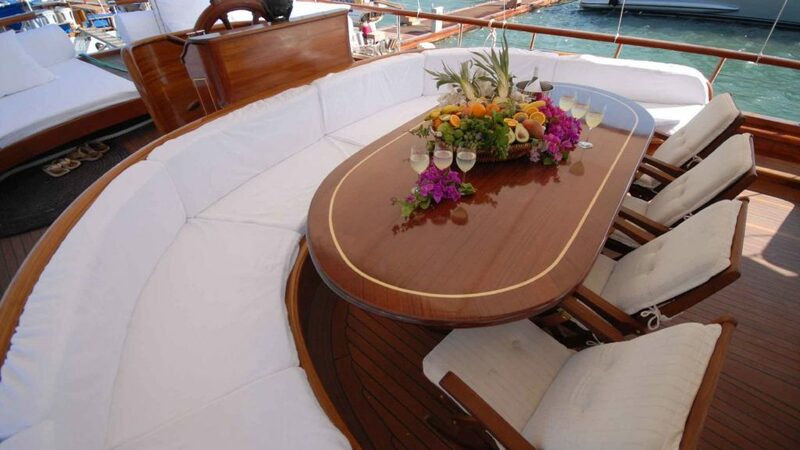 Forward the LADY CHRISTA II sailing yacht boasts 2 large sunpads and another alfresco dining option. 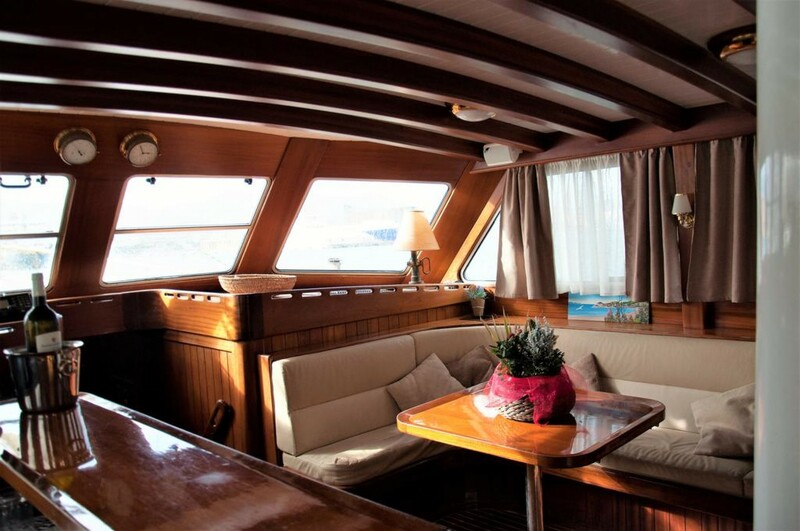 The charter yacht LADY CHRISTA II offers guests 5.5 m Tender with 130hp, Water skis, Windsurfer, Kayak, TV/DVD & Stereos in each cabin and the salon. 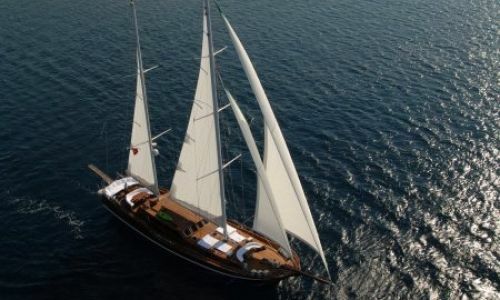 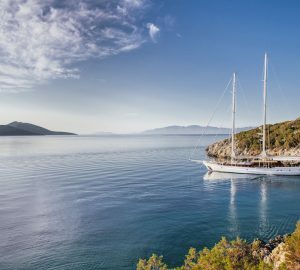 Luxury Gulet LADY CHRISTA II offers accommodation for 10 guests in 5 roomy cabins, there is one master cabin, 2 double cabins and 2 twin cabins, all cabins have en-suite facilities and offer TV/DVD and stereo systems. 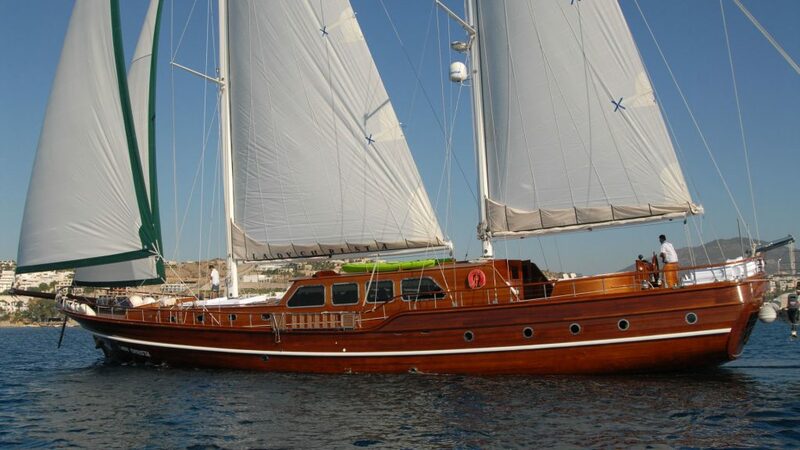 Sailing yacht LADY CHRISTA II 5.5 m Tender with 130hp, Water skis, Windsurfer, Kayak, TV/DVD & Stereos in each cabin and the salon.